Interlocutor: Well, this is all I have regarding this mysterious manuscript. Interlocutor: But who wrote it, a delusional mind? Interlocutor: Did a single person write it? Ruanel: No, many authors got involved. Interlocutor: Master, why don't you tell me directly? 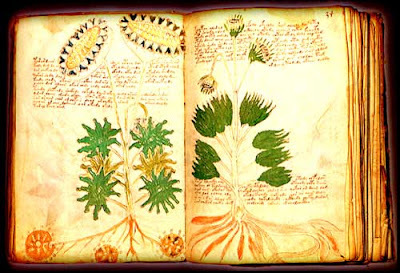 Is this famous Voynich manuscript a total nonsense? Ruanel: Correct, it makes no sense at all. Interlocutor: End of the topic and what about the Archeometer (L'Archéomètre)  Does it have some utility? I ask it because a consultant has interest in studying it. Ruanel: No, it doesn't have any. Interlocutor: And what should I tell him, then? Ruanel: Tell him that he should find something more useful to do. Interlocutor: Well, Master, you couldn’t be more categorical. (L'Archéomètre) The Archeometer is a book written by Marquis Saint-Yves d'Alveydre a French occultist and alchemist who was mentally ill. This entry was posted at Thursday, January 07, 2010 and is filed under Mysteries and Enigmas . You can follow any responses to this entry through the .